If you are in the online retail business, you know the challenge of returns! Retailers often refer to returns as a necessary evil. The Wall Street Journal estimates that on average, 30% of all online purchases are returned, and return rates for certain categories can reach 50% or higher. Some may think that with the increasing maturity of the e-commerce marketplace, retailers should be able to get their return rates under control, but the trend so far has been the opposite—returns are growing on average faster than e-commerce overall. In a way, returns are hard-coded into the nature of e-commerce. Unlike in brick-and-mortar retail, e-commerce customers don’t have a chance to touch and feel the product before the purchase. Thus, returns are unavoidable, and making them easy for the consumer is a must. Unfavorable or unclear returns policies are a top reason for shopping cart abandonment. Moreover, after a bad returns experience, consumers are extremely unlikely to return to the same merchant. However, a favorable returns experience drives sales by encouraging repeat customers, and is used as a differentiator. If we look at it from a unit cost perspective, on a $50 USD purchase, the total cost of a return can be as high as $15 USD (or 30% of the purchase price). At a 10% retail margin, that would mean a retailer must successfully sell at least three units of the same product just to recover the cost of one return. That means high return rates can cause certain product lines to be unprofitable from a total cost perspective. There are ways to help reduce returns’ drag on profitability while retaining high standards for the customer experience. 1. Provide more product transparency. The apparel industry has one of the highest return rates, with the most common reason for returns being “different product look-and-feel compared with expectations.” Sharing better information about the product before the purchase is key to reducing the rate of returns (and improving the customer experience). This can be achieved—e.g., by adding high-resolution images of items on your website and providing a clearer and more structured product description. 2. Improve fulfillment accuracy. It is estimated that over 20% of all returns result from receiving the wrong item. 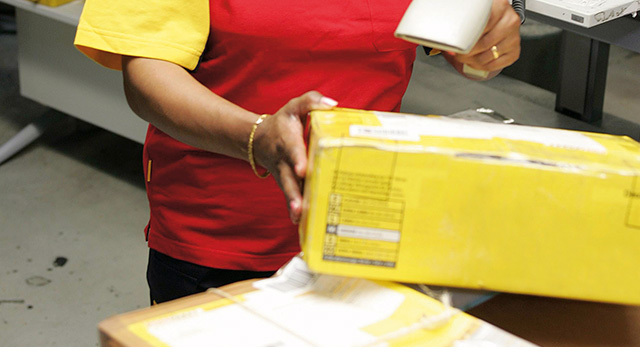 Improving fulfillment quality helps to avoid unnecessary returns. 3. Use data analytics. Returns driven by quality defects or certain product characteristics, which don’t resonate with consumer needs, can be spotted early on using data analytics. Once a certain item experiences an abnormally high return rate, a feedback loop can be triggered with consumers to understand the root cause. The item can then be improved or temporarily removed from sales until the defect is fixed. 4. Review your returns policy. Generally, having a favorable, hassle-free returns policy is a necessity in e-commerce; however, return terms and time windows for certain low-margin items, sales promotions or transaction types (e.g., cross-border sales) can be made stricter. The key is to clearly communicate that to customers at checkout to avoid mismatched expectations. 5. Optimize your returns operating model. Finding the right operating model can save 20-50% of the return cost per item. Key questions to answer here are 1) where the return should be received and processed, and 2) how the return should be shipped. Omnichannel retailers, for instance, can reduce costs by encouraging returns to their stores. Pure-play e-commerce retailers should focus on optimizing the returns transportation network and processing footprint. For example, decentralized local processing can save on shipping costs, while centralized processing provides economies of scale in refurbishment or disposal. 6. Consider outsourcing your returns processing. Specialized returns processing providers can offer higher efficiency and quality compared to processing returns in-house (e.g., at your outbound fulfillment facility). 7. Find the right shipping method and logistics providers. While the shipping requirements are quite different from outbound logistics, shipping makes up a huge portion of the cost of returns. For returns, the shipping cost and predictability of the delivery date are more important than delivery speed. This is where economic parcel shipping methods, such as using the USPS Workshare model, offer an advantage over traditional parcel shipping. 8. Provide clear and easy-to-follow returns instructions. Proper packaging can help reduce shipping charges such as dimensional weight, as well as returns damages. If there are several return shipping options available, the method of selection should be very simple for customers. That is especially important for retailers who have a substantial portion of multi-line orders, where the shipping method will depend on which item is returned.